Technology companies like Tecno Mobile are thriving, and that is a good thing for Nigeria. Around the world, the battle of the new species, AI (artificial intelligence), would be fought on smartphones. Yes, phones are driving or anchoring or converging most of the key innovations in the AI world. From Google Assistant to Apple Siri, from Microsoft Cortana to Samsung Bixby, companies are exploring how they could control the “phone mobility space” by putting supercomputers in our pockets. Tecno Mobile is one of the fastest growing mobile device brands in Africa. It started business in 2006, in Hong Kong, and today operates as a subsidiary of Transsion Holdings. 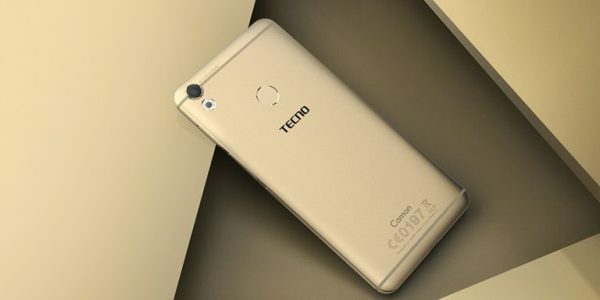 Tecno has won hearts with its balance on pricing and quality. It is a brand any mobile phone manufacturer that wants to sell in Africa must study. Today, the company competes for market share against Samsung in the smartphone mobile sub-sector. Apple is not necessarily in Africa to include it in any analysis. Blackberry is history! Sure, these phones are evolving with tablets, smart watches and fitness systems emerging as varieties. But the evidence is clear: the conquest of the pockets of man would drive the progress on AI consumer business world. The mobile-world first is moving to the AI-world first. The impact would be huge, as big as the invention of electricity, as AI matures and reshapes industrial sectors. One company in Nigeria leads the ecosystem into this mobile race. Yes, Tecno is the closest we can get into the engine of smartphones. But unfortunately, while Tecno has found success in Nigeria and beyond, Nigeria does not host the production of Tecno products. Nigeria needs to find how it could help this company to make its phones in Nigeria. It would benefit Nigeria, because if Tecno succeeds Nigeria would do well, by participating in this new engineering shift. Just employing Nigerian engineers, and helping them to get into the real business of making these systems, would elevate our national competitiveness. Sure, we still need the salesmen which abound, but a real role in the design and engineering is urgently needed. Apple is moving into AI-powered workforce with iPhone. But those are not necessarily workflows structured for Nigeria. In near future, phones would capture more activities we do – from organizing teams to filing taxes. Only companies with local elements would excel in those, for local companies and needs. The AI world is a world of data, and today Africa is not being carried along because we do not have main participants on the table. The app is based on technology Apple acquired from Workflow, a clever — if somewhat advanced — task automation app that allows iOS users to combine actions into routines that can be launched with just a tap. Now, thanks to the Siri Shortcuts app, those routines can be launched by voice. Certainly, there are many reasons why technology companies like Tecno may decide not to invest heavily in Nigeria. Samsung had made the point many months ago when it complained that Nigeria’s infrastructure was a huge challenge. We understand that and I will suggest a way out where Nigeria invests in these companies! Sung noted the grey market which is a big issue in Nigeria. He also explained the poor state of our infrastructural readiness which would be challenging for an electronics company. Of course he did not forget the big one: return on investment. You can have returns in Nigeria if you invest minimally (just do business development). But when you invest big by building factories, you could lose all. That is really his message. I do not expect the problem to go overnight, and we cannot expect Tecno to ignore it. But to have companies that can help provide platforms for Nigerian graduates to advance, Nigeria has to make tough choices: offer tax incentives for companies to invest in modern technology areas, beyond the pioneer status program. Nigeria does not need to give any company money; we do not have enough. But we need to prioritize how to stimulate industrialization over short-term tax revenue. I do think that special venture capital and investment reforms should push companies to inject capital in Nigeria. Most mobile device makers are good investors on technology related areas. Yes, our reforms could stimulate Tecno Mobile and other players to seek and seed opportunities in Nigeria. Government should offer new VC (venture capital) firms in Nigeria a ten year tax incentive on profits if they have asset base of at least $50 million and will deploy the capital in Nigerian startups within 10 years. Offer new VC firms in Nigeria the opportunity to repatriate 100% of profit within ten years. That will help the country to attract foreign investors to make Nigeria home. If we make this tax reform, you would be surprised how Tecno Mobile and other technology firms may be looking for some pieces of solutions within Nigeria for its phone systems. Yes, they would source and seed some Nigerian startups to feed them workforce, process systems and other necessary things that would help them make better phones with the Nigerian customers in their minds. But as it stands today, we are simply a sales point; that has to change. As we move into the age of blockchain, mobile device makers would have key roles. The phone is becoming the convergence point for many computing users. Companies that can host where these devices are made, and the software that make them smarter, will offer many game-changing working experiences to engineers. Over time, those workers will depart, and then move into the economy to expand the space. The diffusion process will have catalytic impacts. This is important as Nigeria does not seem to have the resources to invest in the new sectors. We cannot just wait: we need to use different mechanisms to attract the companies of the future. In the 21st century, every nation would be compelled to invest in the companies of the future. The key is making sure you get value for that investment. A smart tax system to bring venture funds into Nigeria could be a catalytic strategy for our nation. When we have such systems, it would mean that we are investing in companies like Tecno Mobile. Such enablers would help the companies advance the emerging technology firms in Nigeria and potentially seed a wave of local innovation. *The use of Tecno is simply to capture the essence of indigenous mobile development capability. It could be any firm. Yes, Tecno may not be fully indigenous but it is closer to Nigeria than anything out there.